It’s always heartening to get to know an individual working tirelessly in the interest of better senior care. We celebrate Elissa Lewin, the founder of Nancy’s House. Nancy’s House is a non-profit organization dedicated to providing care to caregivers. Nancy’s House provides a “B and B” experience to caregivers. They receive a weekend retreat in a beautiful setting — designed to promote comfort, compassion, education, and support to their immediate and long-term needs as caregivers. 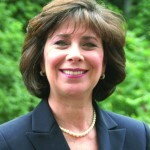 Elissa Lewin, the founder of Nancy’s House, identified the needs of caregivers through her experiences as a licensed psychologist and family caregiver. Out of her wisdom and desire to make a difference, Nancy’s House was born. 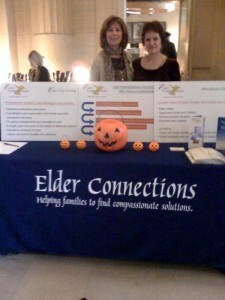 Elder Connections is delighted to support Nancy’s House by donating our services to their efforts. This past weekend we were honored to participate in Nancy’s House Fine Art and Craft Show. It was a wonderful event in which the public had the opportunity to avail themselves of wonderfully creative items while supporting a dynamic organization beginning to make its mark on supporting senior care with heart and creativity.